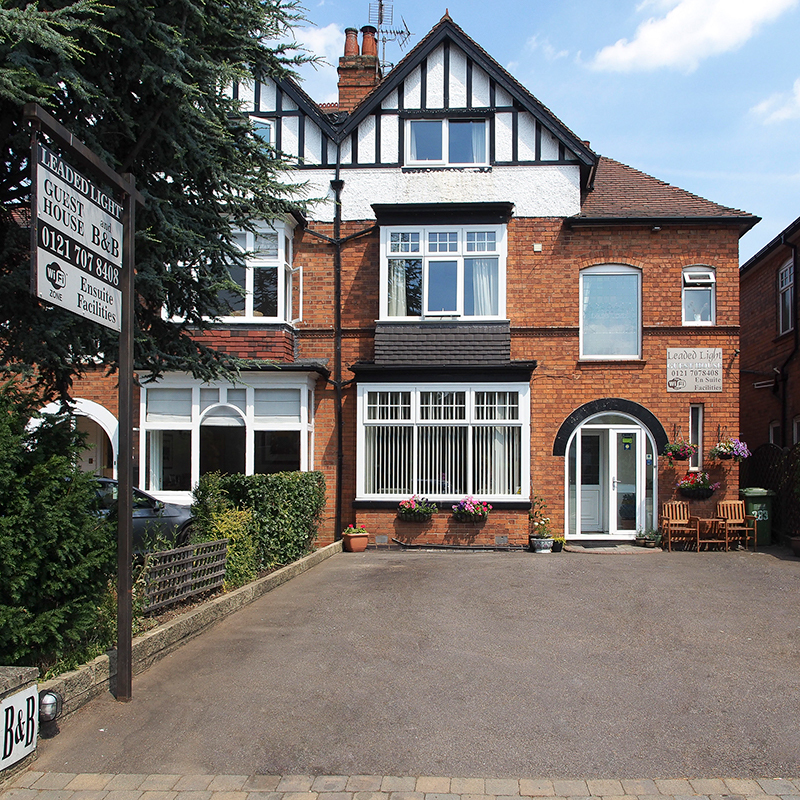 The Leaded Light guesthouse in Olton is a small, family run bed and breakfast (B&B) located to the south of Birmingham, between the city centre and Solihull. We are the ideal option for travellers looking for clean, comfortable Birmingham hotel accommodation in a convenient location - yet away from the hustle and bustle of the city itself. Your bed and breakfast host, Helen, will greet you with a friendly smile when welcoming you to her home. 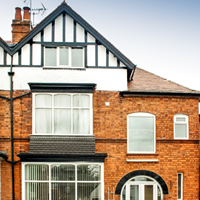 Whether you are booking a room whilst working away from home on business, or visiting a show or concert at the LG Arena or NIA, you are sure to feel like a member of the family during your stay at the Leaded Light guesthouse. We have fantastic road and rail links to the wider South Birmingham and West Midlands area, making us convenient for visiting the National Exhibition Centre, Birmingham International Airport, Solihull town centre and surrounds - as well as Birmingham City itself. It’s less than a 10 minute walk to our local rail station at Olton with it’s fast and frequent services to Solihull, Birmingham City, and beyond. We’re looking forward to welcoming you to your new home-from-home. 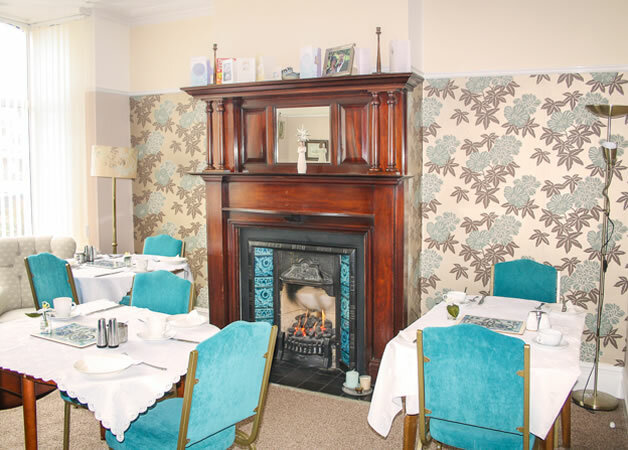 The Leaded Light guesthouse was originally built as a family home in 1903 and still retains many of it’s period features such as high ceilings and well proportioned rooms. 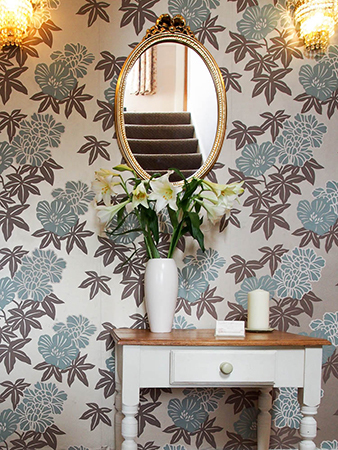 Trading as a bed & breakfast since 1986, the property has been lovingly decorated in a pleasing palette of warm, co-ordinating colours, and has been furnished to a high degree of quality and comfort throughout. 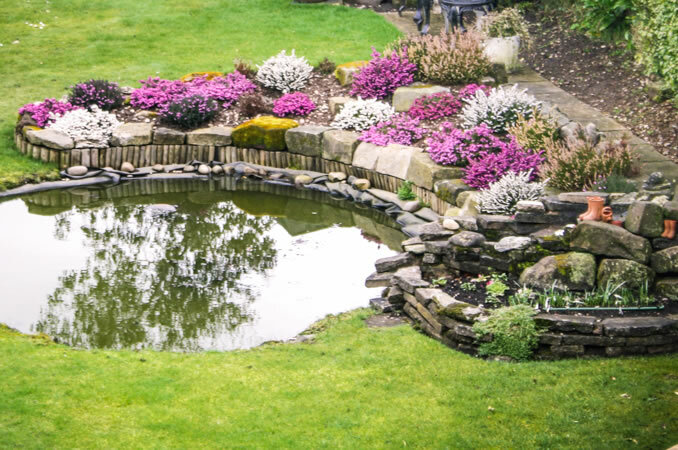 There is a pretty landscaped garden to the rear, off-street parking at the front, free wi-fi internet access, and digital flat screen televisions in every bedroom. Unlike many of the chain-hotels and motels, we do not charge for added extras like internet access and car parking. All our guests are able to park their car during their stay on our forecourt, and we do not charge for internet access - so you can check your emails without spending a small fortune! 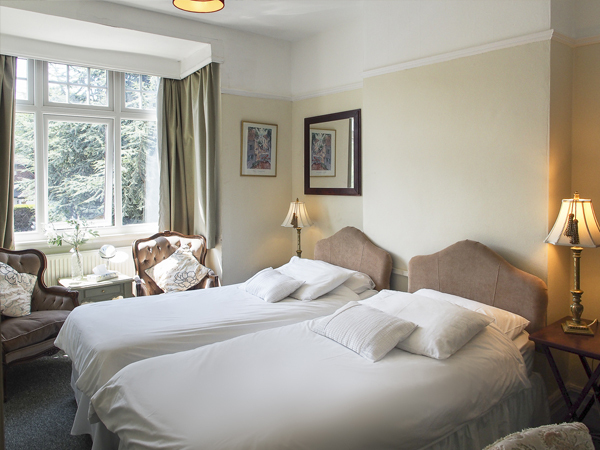 We don’t penalise visitors travelling alone - there is no need to pay for a double room when you only need enough space for one! We offer substantial single occupancy discounts on our larger rooms, and boast a single room with enough space just for you, which will save you even more money. If you are looking to book for a longer period (usually 1 week or more) then we might be able to arrange a long start discount. Please call us on 0121-707-8408 to discuss your needs, availability, and any discounts that might be available. 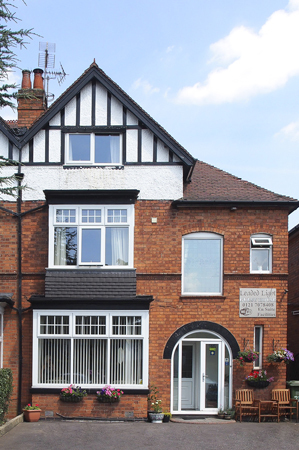 The Leaded Light bed and breakfast is convieniently located in Olton on the main A41 "Warwick Road" running between Solihull and Birmingham, and is only a short drive from Solihull town centre. Less than 10 minutes on foot. 6 minutes by car or taxi or 10 minutes by bus (number 37). 25 minutes by car or taxi or 8 - 10 minutes by train from Olton Station. Introducing the Leaded Light Solihull guesthouse / B&B. 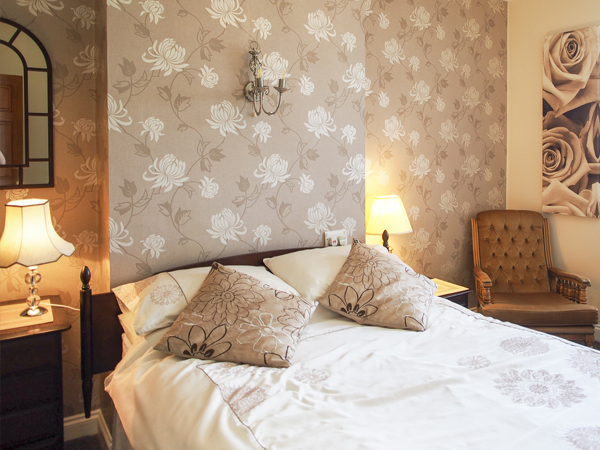 On this page you can view an introduction to the B and B - including a key-list of hotel facilities, a slideshow featuring images of our guest hotel rooms, and an explanation of why the Leaded Light is a great value Solihull guesthouse. 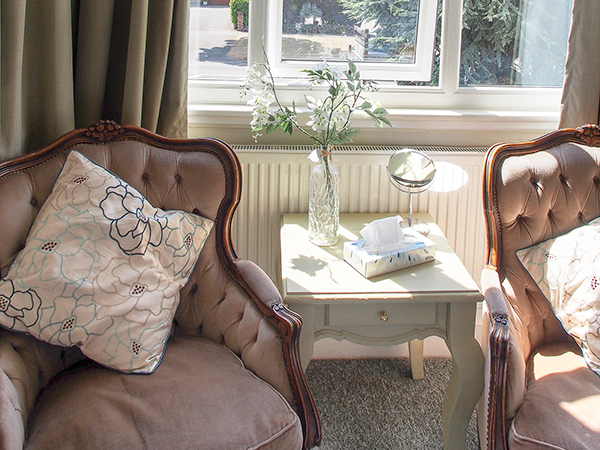 Consider our family-run Solihull bed and breakfast accommodation rather than a chain hotel - your own home from home. The Leaded Light is located to the South of Birmingham, in Olton - Solihull. 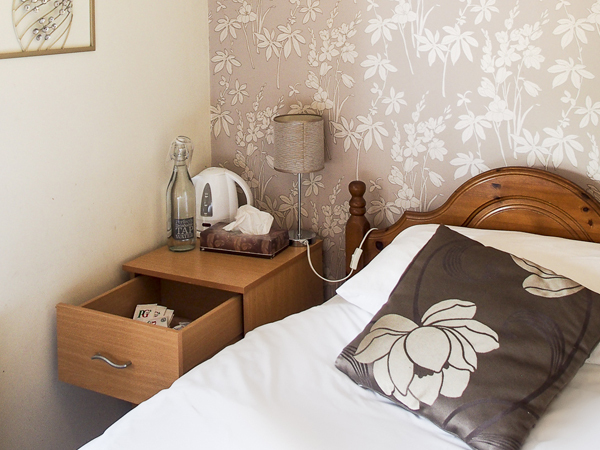 We are a traditional British, family run bed & breakfast / guesthouse. We're rated 5* for hygiene. Solihull home from home B and B! copyright © Leaded Light Guesthouse 2013. all rights reserved.